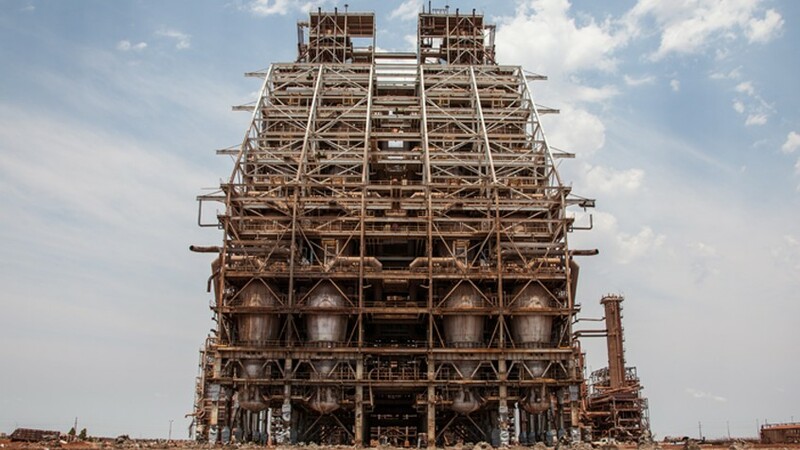 Liberty Industrial was employed to safely demolish and remove a highly complex and challenging facility at the Boodarie Iron Hot Briquetted Iron plant.This high profile landmark facility in the Pilbara region of Western Australia was within our client’s top 10 world-wide risks. 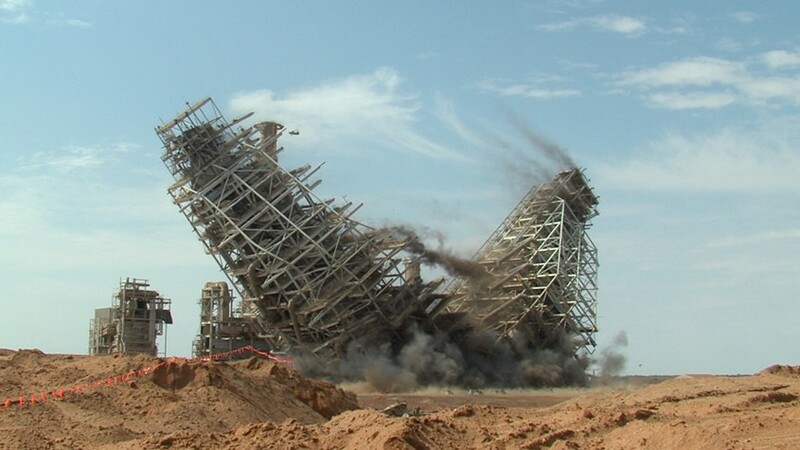 The job required the demolition of a briquetting structure, a reactor structure and a gas plant. 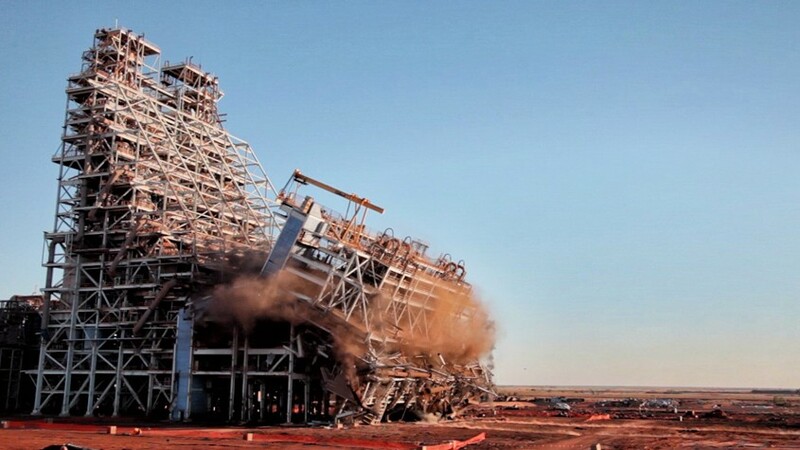 The reactor, the tallest structure on site was 104 metres high and represented the largest demolition project undertaken in the southern hemisphere in 15 years. Liberty Industrial used the following equipment for the task: a Liebherr 994 (230 tonne) ¬ the largest excavator in Australia – complete with the largest set of grapple attachments ever made by Embrey’s Australia (14 tonne); an EX1200 Hitachi (120 tonne); and a series of 70 tonne, 46 tonne and 36 tonne Volvo processing excavators all equipped with shear and grapple attachments. We commenced deconstruction works in May 2011 and completed the project in May 2012. To minimise the inherent risks associated with the demolition of the HBI structures, we utilised the Extreme Loading for Structures Software (ELS) provided by Applied Sciences International (ASI). 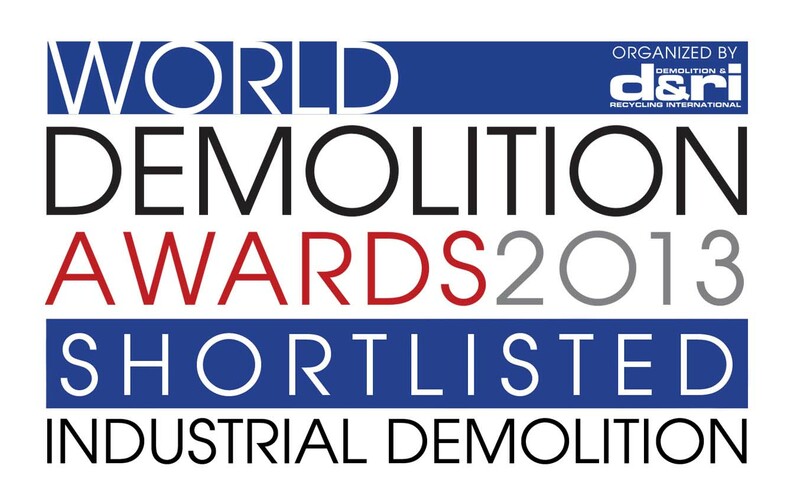 This enabled us to create 3D models of the structures as part of our demolition methodology. The modelling allowed us to refine our methods and show the client the resulting successful outcome well in advance of undertaking any physical work. Liberty Industrial is the exclusive Australian agent for this breakthrough technology. 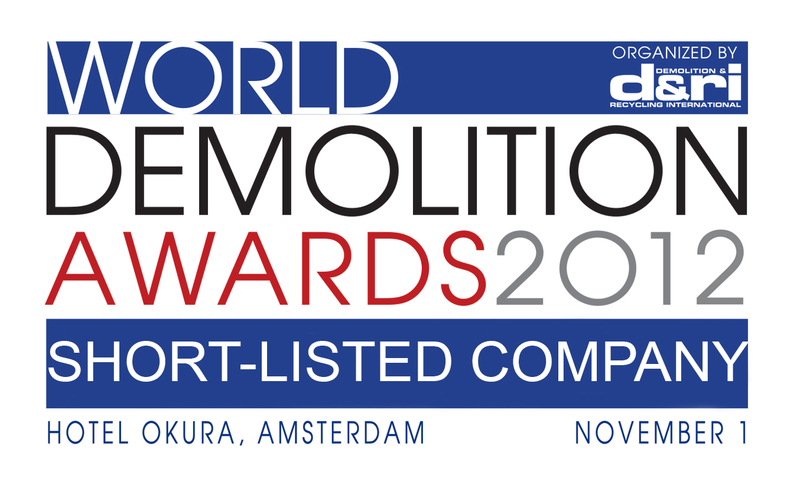 The application of ELS technology on the HBI Project was a key factor in ensuring the structures were demolished in a safe and efficient manner. The first structure to be demolished was the briquette building. The structure was demolished in two halves. The top section was removed first, and then the bottom. Skilled oxy-cutting personnel weakened the structure with a series of prep cuts then a pull force was applied to induce the collapse. 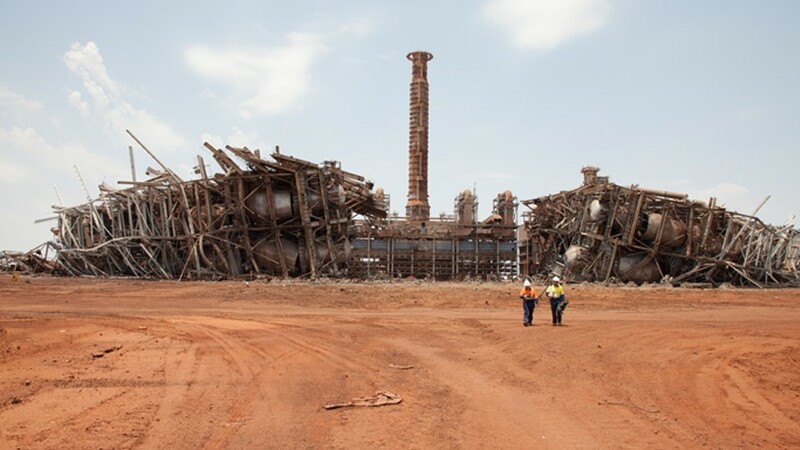 After the structure came over it was inspected by the DRI consultant to see the quantity of highly volatile Direct Reduced Iron Ore Fines (DRI) that had decanted out of the holding bins. Excavators then downsized and processed the scrap materials. The structure was monitored throughout the downsizing process to ensure any areas of DRI were identified, isolated and treated prior to any hand oxy cutting taking place. The gas plant was made up of a series of pipe racks, ovens, reformer structures and columns. It contained substantial amounts of ducting, heavy piping and plant equipment. Many of the structures were collapsed using cut and pull techniques allowing the 230 and 120 tonne excavators to pull the structures apart, working in combination with a smaller fleet excavators equipped with shear attachments. 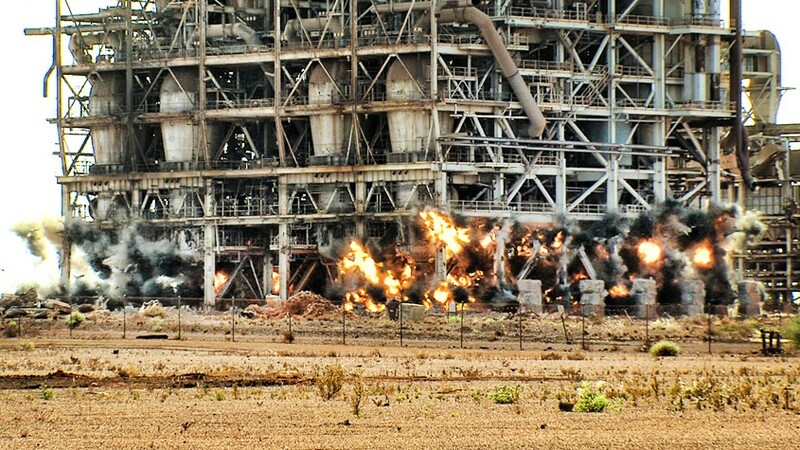 The plant was then systematically demolished and the materials processed. 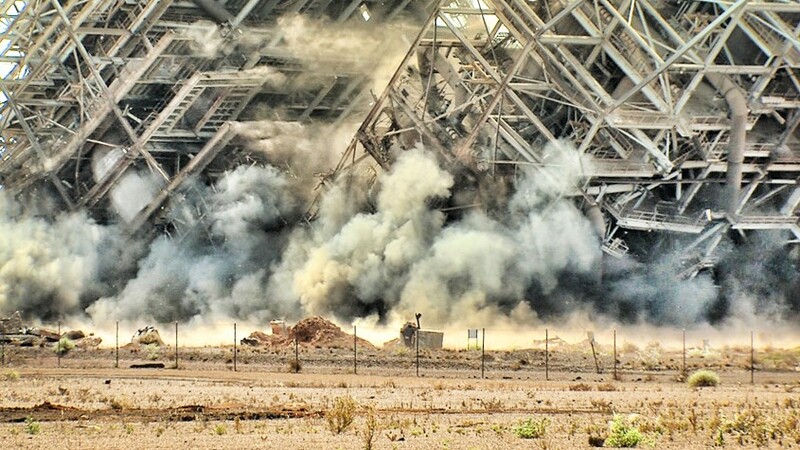 The reactor structure, towering 100 metres high, was demolished by prep cutting carried out by the oxy cutting team, followed by linear cutting charges and power gel kicking charges to induce the collapse. 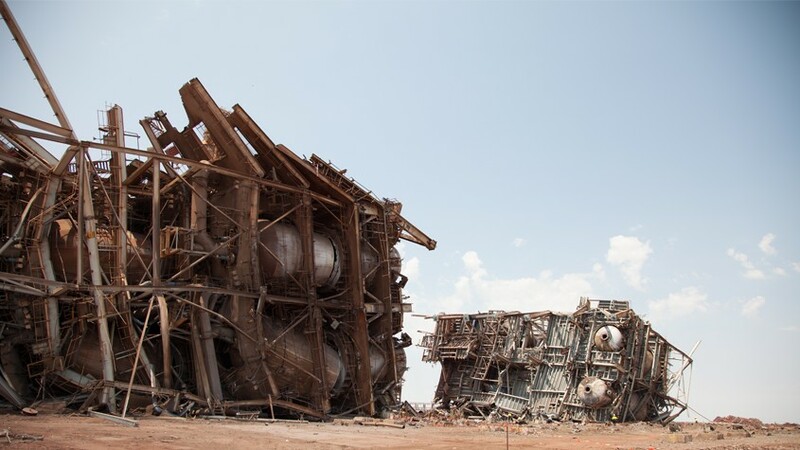 As 16 reactor vessels in the reactor structure contained DRI, Liberty’s specialist knowledge using the latest demolition methodologies was essential to ensure a safe and effective outcome.